So this time it’s going to be about a trip which happened couple of months ago. I heard from everyone that this island on the north of Nova Scotia is beautiful place to visit. I has seen some pictures and checked it on a map and agreed with a friend that we will go there in June. It’s about 500 kilometers from Halifax but on our way there we took a longer road around the coast and because we were not rushing there we stopped and couple of places for example Sherbrook Village. 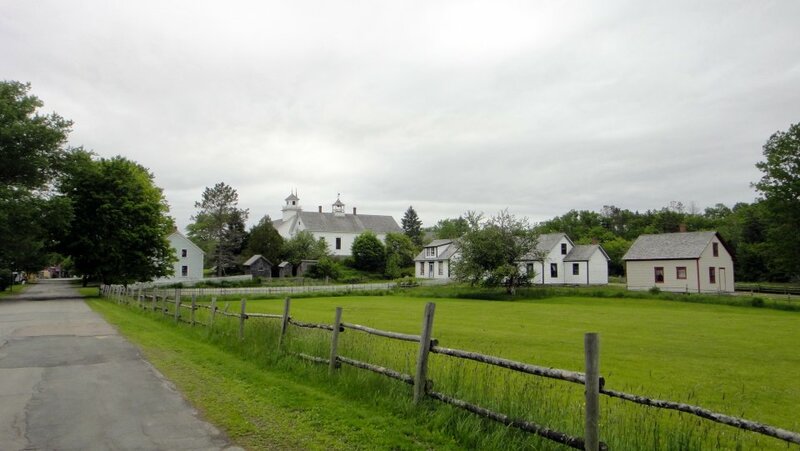 That is a living history museum where you can see how it looked like there in 1890 or how in general were looking villages in Nova Scotia. During a season there are people there working in traditional crafts and they will show and explain to you how it was working in that time. Everything is very well made and they reconstructed even a sawmill and I would definitely recommend that place as we spent there almost four hours and I think it could take even a whole day trip. This was one of the great examples why it’s better when doing some road trip not to use a navigation as they won’t show you places like this when you don’t have exact plan and expectations. From there we continued to our destination. First stop was in Port Hastings Information Centre where they filled us up with information what we can do and see there so we knew immediately that we can’t make everything this time. We’ve decided to take it around from west and first longer stop was at Inverness on the beach and then in a pub with a view of the ocean for a dinner. Once done there we went again to get closer to the national park and famous Cabot trail so once we were getting closer we started to look for accommodation along the road and we found a lovely bed and breakfast in the place you can see on the picture below. Finally we got again between some hills as there are scare around Halifax. Since it was also really close to the cost we went to see amazing sunset on the coast. The next day we get up early and after breakfast went to the national park to see the Cabot Trail where we spent a day on lookouts and trails. 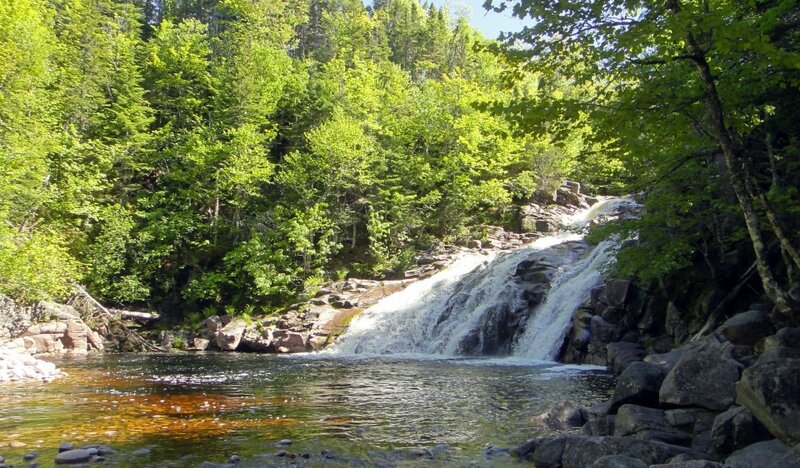 The following picture is from one of the best know place a Skyline Trail and you will see a different variations on every information material about Cabot trail. It has amazing view around and it’s also nice (and easy) trail. Because we went early in the morning there was almost no one there and we could enjoy this place only with couple of other people. Thanks to the terrain here in Highlands there is several waterfalls and amazing nature and since the Cabot Trail just goes around I haven’t seen any trail or road going inside so we made a trip to the northernmost point of Nova Scotia reachable by car at Meat Cove (because of time constrains we did not make it unfortunately much further on foot). At the same day we ended at Sydney (after year back only on different continent 😀 ) it should be a biggest city on the island and we spent a night at the hotel close to the city centre we got recommended during our lunch at one pub. 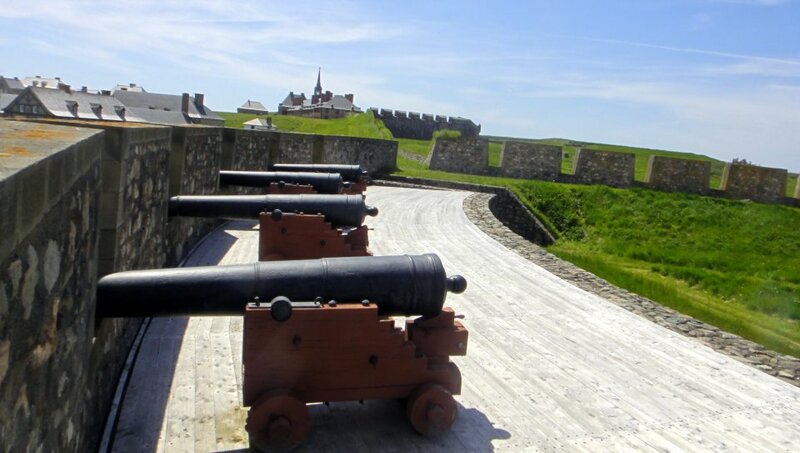 Then in the morning we went along a coast to the fort of Louisbourg. It was founded by French at 1713, there was an establishment before that but they built this fortified port and city later and they fought several battles with British army and since it was conquered and abandoned after 1768 the whole site was reconstructed based on archaeological excavations. All made with old techniques it looks real and you can imagine how was the life in a new world at that time and how the first settlers used to live. It was definitely a great trip and we were lucky for a great weather I wish we only had more time for this part.